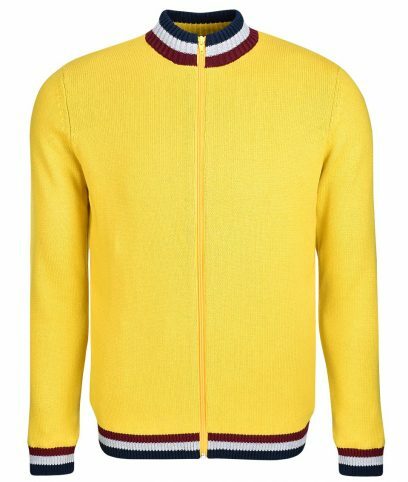 Art Gallery clothing offers a collection of Mod influenced menswear including slim fit button down shirts & knitwear inspired by the sixties. Long sleeve knitted zip up cardigan by Art Gallery made from 100% cotton in a regular fit. Contrast blue, red and white stripe neck, cuffs and hem. Plain on back. 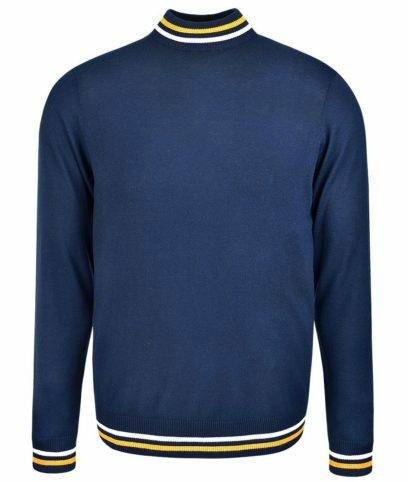 Knitted crew neck jumper by Art Gallery made from 100% wool in a regular fit. 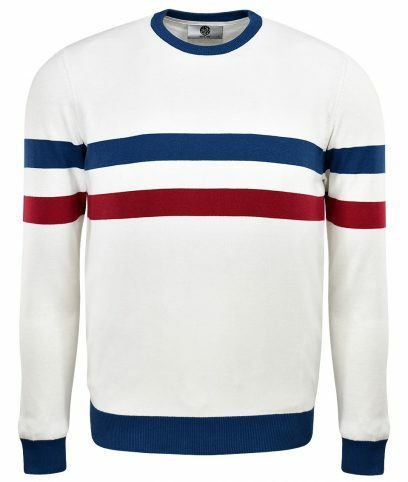 Horizontal blue and red stripes on front continuing round the back. Contrast collar, cuffs and waistband. 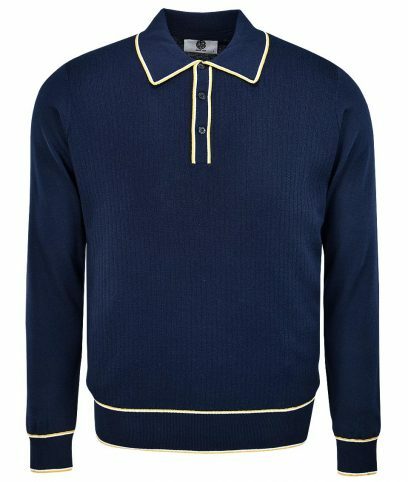 Long sleeve knitted polo by Art Gallery made from 55% acrylic and 45% cotton in a regular fit. Ribbed front panel with tipped collar, placket, cuffs and waistband. Long sleeve cycling top by Art Gallery made from 100% cotton in a regular fit. 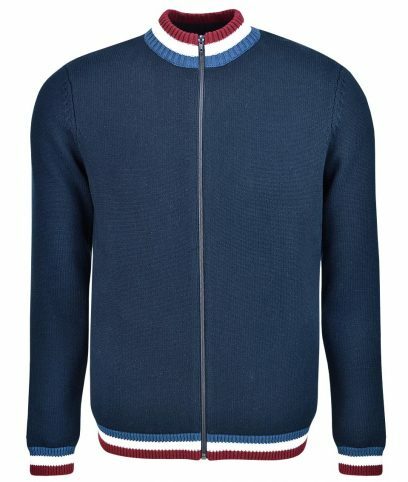 Zip funnel neck with mid blue and white twin stripe detail. Machine washable. Long sleeve cycling top by Art Gallery made from 100% cotton in a regular fit. 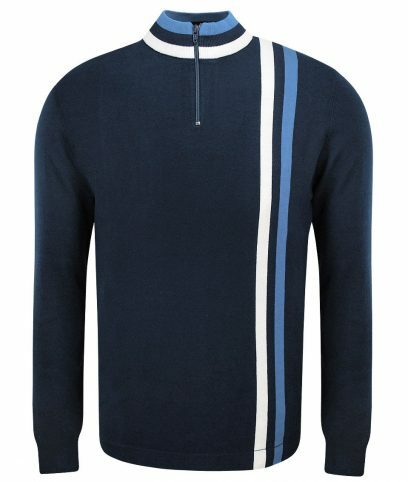 Zip funnel neck with blue and white twin stripe detail. Machine washable. 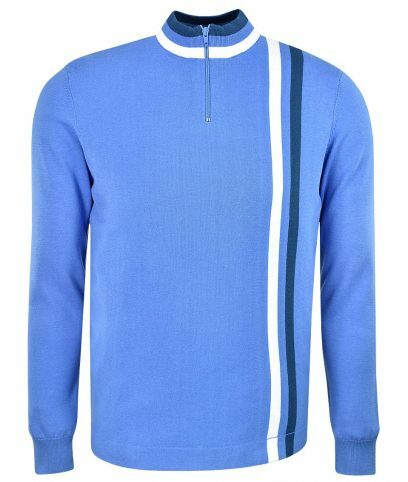 Long sleeve cycling top by Art Gallery made from 100% cotton in a regular fit. Zip funnel neck with red and white twin stripe detail. Machine washable. 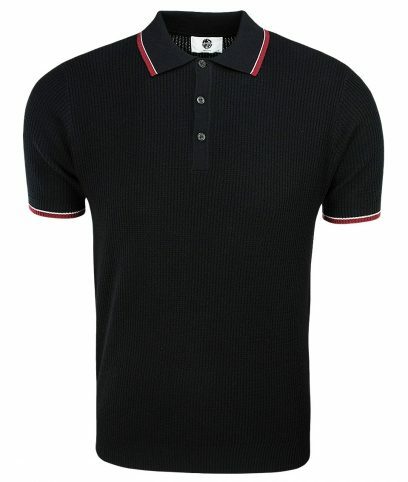 Polo shirt by Art Gallery made from 55% acrylic and 45% cotton in a regular fit. All over waffle knit pattern with contrast red and white tipping.